NILAI, January 29, 2019 – Strategic Communication Center (StraComm) Universiti Sains Islam Malaysia (USIM) organized the USIM’s Onboarding Strategic Plan Workshop for 2019 at the USIM Chancellery Gallery. According to StraComm’s Director, Dr Hayati Ismail, the effort to unite all top management and department heads is the mechanism to get parallel ideas, inputs and suggestions to jointly set USIM’s direction in 2019. 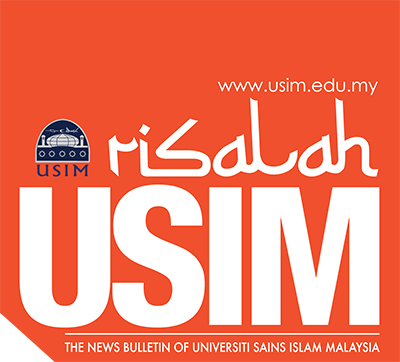 “I am confident with clear communication and the involvement of all top management and heads of departments will help USIM to meet all the targets set for the 2019Strategic Plan,” she said. In addition, USIM Vice-Chancellor, Y.Bhg Prof Dato ‘Dr Musa Ahmad added that the strategic plan’s stance is important as this will be the future direction of USIM. This workshop is to provide the opportunity for all top management members of the university to discuss, exchange ideas and make improvements in setting goals and direction for 2019. “This Strategic Plan will be followed as a guide and reference that has been neatly organized according to the university’s aspirations or niche to all USIM citizens. The stipulation in this Strategic Plan is also a platform that challenges the credibility of all the Heads of Departments (PTJ) to make proactive action, make future predictions, to ensure the decisions made are correct, which will ensure success and impact to USIM, “he said. He also thinks that what is being discussed and described in this Strategic Plan should be clearly communicated to all USIM citizens either at the highest level or at the support group level. This is because the Strategic Plan is to be acknowledged and understood by all levels of USIM citizens and subsequently be applied by everyone including managers and administrators at USIM. The one day workshop was filled with various activities such as poster presentations, discussions and gallery walk. Also present were Prof. Dr. Abdul Rahim Abdul Rahman (Academic and International), Prof Dato Dr. Roshada Hashim Deputy Vice-Chancellor (Research and Innovation), Associate Professor Dr Mohd Rushdan Mohd Jailani Deputy Vice-Chancellor (Student Affairs and Alumni), Dato Muhammad Haizuan Rozali (Registrar), and Dato Mohd Abd Rasid Mohd Fadzil (USIM Treasurer).